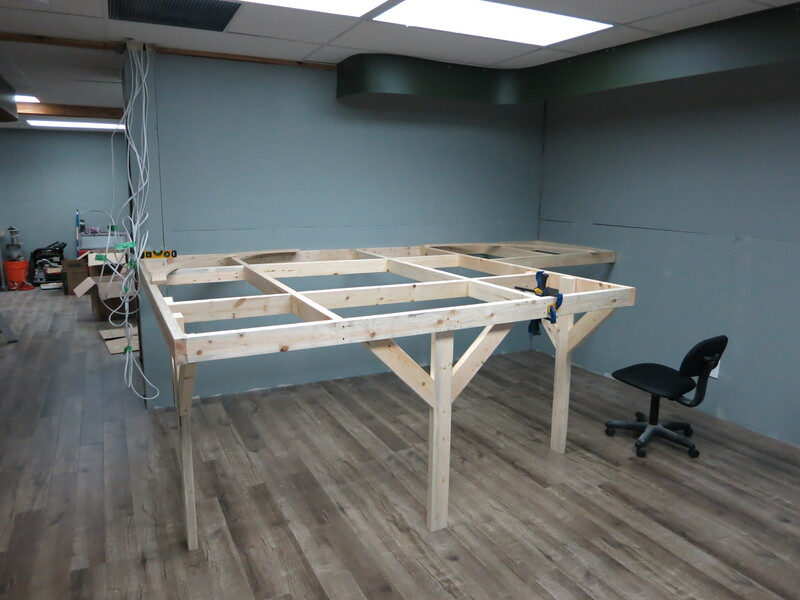 The small section in the corner of the room is the start of the lower level benchwork. I wanted to frame it up so I can figure out exactly where to build the helix. Next step is to do a little more framing for those wires you see hanging from the ceiling. I need to install a light switch box and wire up the lighting and layout power runs. Wow that valance makes a big difference.